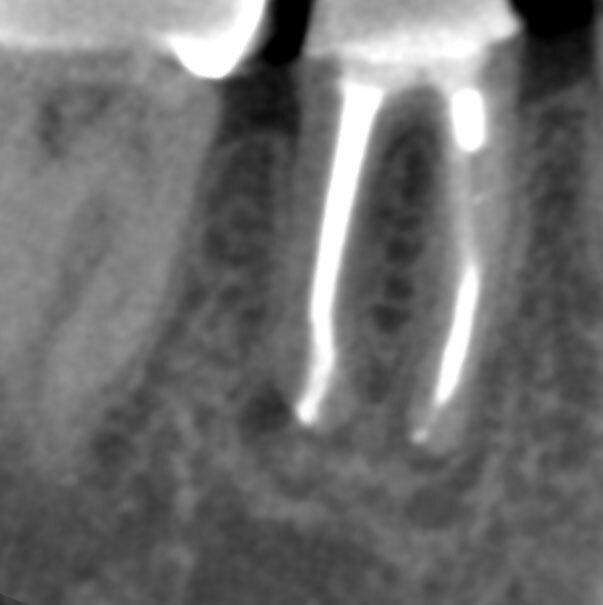 Radiographic examination of a seventy-one-year-old female revealed prior silver point root canal therapy with periapical lesions on the mesial and distal roots of the lower right first molar (#30). 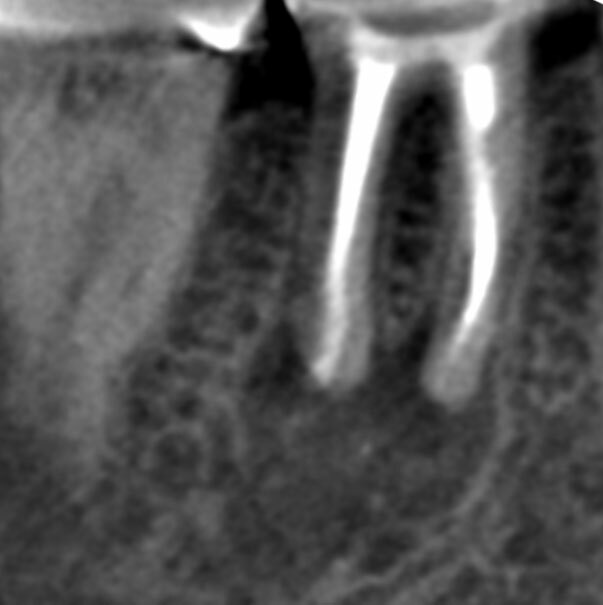 A diagnosis of acute apical periodontitis was made. 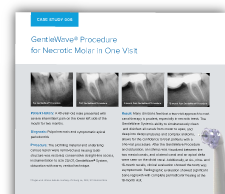 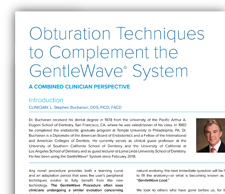 To remove the silver points, a conservative straight-line access was prepared and the silver points were removed using ultrasonics and Hedstrom files; instrumentation followed using only two NiTi files to provide a fluid and obturation path prior to the GentleWave Procedure.